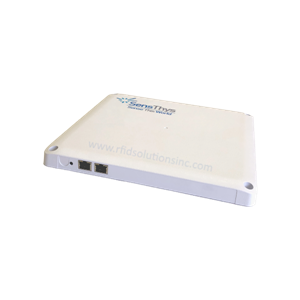 Save 30% on RFID inFusion with purchase of SensArray! 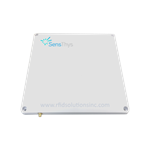 The SensThys SensArray® is a integrated UHF RFID Reader / Antenna system designed to elegantly implement networked RFID solutions at dramatically lower costs. The SensArray achieves this by using functional integration to attack the expense and complexity of installation while simultaneously lowering hardware costs. 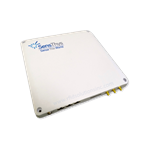 The SensArray platform combines Ethernet switching and an integrated PoE power distribution system with a high performance integrated RFID reader/antenna. 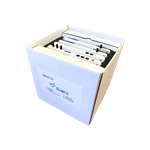 The SensArray+ integrates several functions into a thin-profile form factor. 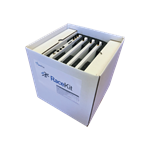 A three-port, self-configuring and reconfigurable power system compatible with all current generation POE devices, including both PD and PSE devices. The SensArray can receive power through an IEEE 802.3af (POE) or IEEE 802.3at (POE+) compliant network on either of the Ethernet ports. 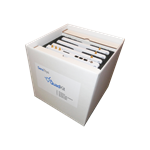 The SensArray can deliver power to an 802.3at network through either port. Max RFID power output of 30dBm with one internal RHCP antenna (8.5dBic, 10m range) and three external antenna port.